I created this cake for a collaboration photo shoot between Fizzy Robot photography and Liquory Kiss mobile bar. The theme for the photoshoot was Boho Rock Chic and we were lucky enough to have the images featured in Wedding Ideas Magazine. 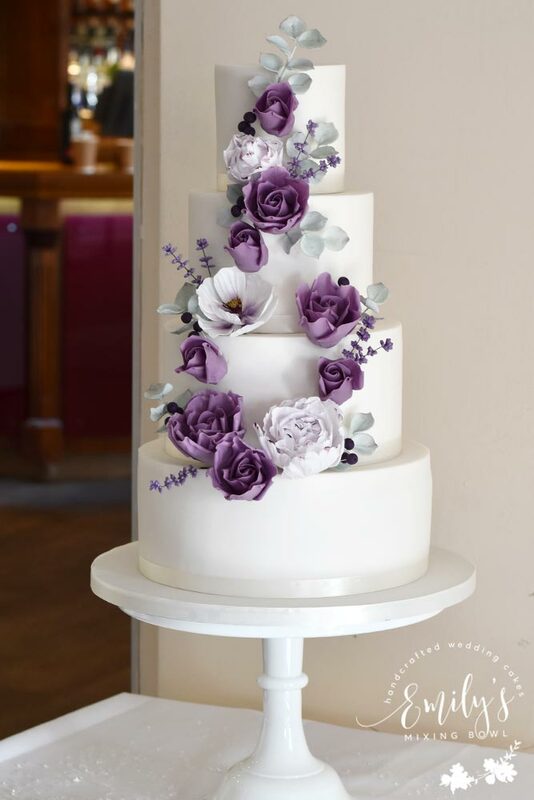 I used a watercolour effect on the top and bottom tiers and a half wreath of sugar flowers on the middle tier with a grey background. 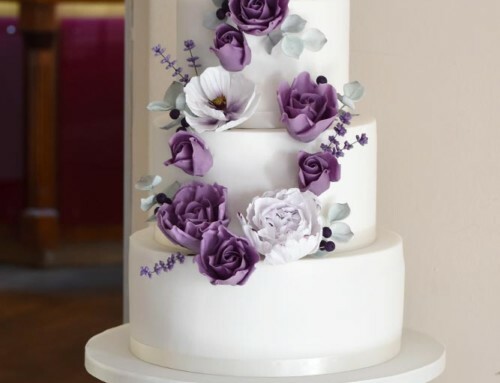 I also used a silk ribbon on the bottom tier which added a feminine touch.